The two most common neurodegenerative disorders in the elderly are Alzheimer's disease (AD) and Parkinson's disease (PD). While each has well-defined clinical and pathologic features and specific criteria for clinical and pathological diagnosis, some degree of overlap between these two disorders exists. Some AD patients develop extrapyramidal signs and symptoms characteristic of PD, some patients with typical PD develop a dementia, and both disorders can co-occur in the same individual. This, however, does not explain all or even most of the cases of PD with dementia. Another entity known as dementia with Lewy bodies (DLB) has been estimated to account for 15 to 20 of late-onset dementias and has been only more recently recognized as the second most common cause of dementia after AD (McKeith, Perry, & Perry, 1999 McKeith et al., 1996). In this chapter, we focus on the dementias associated with both DLB and PD with dementia. In reviewing the PD literature, Lieberman (29) reported that 17 to 53 of treated and untreated PD patients without dementia demonstrate cognitive dysfunction. Unfortunately, few of the studies reported formal criteria for determining what did or did not constitute dementia, thus making it difficult to determine whether patients were in the early stages of dementia. As noted earlier, more recent studies suggest that formal neuropsychological testing may uncover mild cognitive deficits in 25 to 36 of PD patients at the time of diagnosis (22,23). 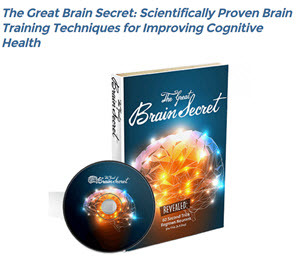 When present in early PD, cognitive dysfunction is typically mild and most commonly involves bradyphre-nia (a slowness of thought) and subtle deficits in executive functions, recall, and or visuoperceptual spatial functions (30). TABLE 3 Risk Factors for Dementia in Parkinson's Disease Lower socioeconomic status Family history of Parkinson's dementia Disease severity Susceptibility to levodopa-induced psychosis or confusion patients with PD on verbal fluency, attentional, and visuospatial tasks was associated with subsequent development of dementia. Woods and Tr ster (93) found that nondemented PD patients who met criteria for dementia at one-year follow-up evaluation demonstrated poorer baseline performance on measures of word-list learning and recognition, complex auditory attention, and executive function. Parkinsonism following encephalitis lethargica during the influenza pandemic between 1916 and 1926 is known as postencephalitic parkinsonism (PEP). 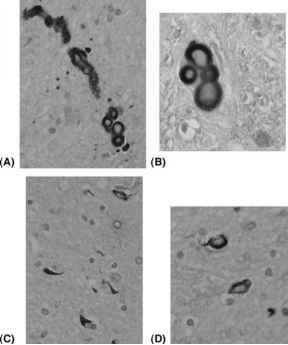 During the recovery phase of the acute viral encephalitis, parkinsonian rigidity developed with the most characteristic clinical features being oculogyric crises. The PEP brain has NFTs in the cortex, basal ganglia, thalamus, hypothalamus, substantia nigra, brainstem tegmentum, and cerebellar dentate nucleus (48). The distribution of the pathology overlaps with PSP and, in some studies, it has not been possible to distinguish the two disorders by histopathologic analysis alone (48). Biochemical studies of abnormal insoluble tau in PEP have features similar to AD with three major bands (68, 64 and 60 kDa) on western blot studies, and electron microscopy shows paired helical filaments similar to those in AD (49). A characteristic parkinsonism with dementia Parkinson dementia complex (PDC) with a number of features that overlap with PSP (50) has been reported in the native Chamorro population of Guam since the 1950s (51). The frequency of PDC is declining in recent years for unknown reasons, and the etiology is unknown. The gross findings in PDC are notable for cortical atrophy affecting frontal and temporal lobes, as well as atrophy of the hippocampus and the tegmentum of the rostral brainstem (52). These areas typically have neuronal loss and gliosis with many NFTs in residual neurons. Pharmacological manipulation of the dopaminergic system can take on two basic forms either targeting dopamine biosynthesis or destruction of nigrostriatal dopaminergic neurons. Both reserpine and alpha-methyl-para-tyrosine (AMPT) interfere with dopamine production and result in a temporary dopamine depletion lasting hours to days, whereas neurotoxicants such as 6-hydroxydopamine (6-OHDA) and (MPTP) result in midbrain dopaminergic cell death. Methamphetamine (METH) is a class of compound that selectively destroys axonal terminals of nigrostriatal dopaminergic neurons usually without significant cell death. Recently, other compounds, particularly pesticides and proteasome inhibitors, have been utilized as selective toxins targeting the dopaminergic system since the mitochondria of these cells display enhanced vulnerability during chronic exposure. The utility of compounds to generate animal models of parkinsonism are discussed in the following sections. Levodopa is available with carbidopa as immediate release carbidopa levodopa 10 100, 25 100, and 25 250. It is also available in a sustained-release form as car-bidopa levodopa 25 100 and 50 200. An orally dissolvable form of immediate release carbidopa levodopa (Parcopa ) is available as 10 100, 25 100, and 25 250. Finally, levodopa is available with the COMT inhibitor, entacapone, in the following combinations Stalevo 50 (carbidopa 12.5mg levodopa 50mg entacapone 200 mg), Stalevo 100 (carbidopa 25 levodopa 100 entacapone 200), and Stalevo 150 (carbidopa 37.5 levodopa 150 entacapone 200). In patients with parkinsonism, walking is slower than normal, cautious, and contained. The steps get smaller and the patient will eventually shuffle. In more advanced disease, she is flexed at the knees and hips and walks on her toes while sliding her feet forward. Her arms are adducted and flexed at the elbow, with her hands held in front of her thigh or abdomen. The tremor of Parkinson's disease is present at rest. The hand tremor is most marked with the arms supported on the lap and during walking. The characteristic movement is 'pill-rolling' where movement of the fingers at the metacarpophalangeal joints is combined with movements of the thumb. The resting tremor decreases on finger-nose testing but a faster action tremor may supervene. The best way to evoke the tremor is to distract the patient, such as focusing attention on the left hand with a view to 'examining' the right hand or by turning the head. Levodopa methyl-ester carbidopa effervescent tablets (CNP-1512) are currently approved for rescue therapy in PD in Italy (Chiesi Farmaceutici). Outside of Italy, the drug (V1512) is owned by Vernalis Pharmaceuticals. This preparation is approximately 250 times more soluble in water and can thus be easily dissolved and orally administered. Studies comparing the drug with standard levodopa preparations demonstrate a faster onset of action (by a mean of 8.5 minutes) and a longer total duration of action (mean 15 minutes longer) with fewer dose failures. A large 39-center European trial compared levodopa methyl-ester with standard levodopa in patients already on levodopa who were experiencing at least two hours of off time. At 12 weeks, subjects on levodopa methyl-ester tended to have less off time than levodopa (-39.4 vs. +3.4 minutes, P 0.07). No unexpected adverse events have been noted. Phase III North American and European studies are planned (4). Until recently, standard neuroimaging techniques have had a marginal role in the diagnosis and follow-up of Parkinson's disease (PD). The diagnosis of PD is essentially based on clinical data (neurological examination and evaluation of therapeutic response) (UK Parkinson's Disease Brain Bank criteria). In the earlyphase the magnetic resonance (MR) examination may be negative. In other words MR is not sufficiently sensitive to the damage caused by PD. One-fourth of patients with a clinical diagnosis of idiopathic PD are subsequently found to have other degenerative disorders 11 . Like clinical examination, standard MR is scarcely specific and has a secondary role that is in fact limited to gross differential diagnosis with other neurological disorders. We examine the rationale of standard MR diagnostic imaging, the more advanced quantification techniques and the advantages and drawbacks of 3.0 T magnetic fields in PD. It is hypothesized that there are three features underlying the voice disorder in individuals with PD (i) an overall amplitude scale down (75,76) to the speech mechanism (reduced amplitude of neural drive to the muscles of the speech mechanism), which results in hypophonia, hypoprosodia, and hypokinetic articulation (ii) problems in the perception of vocal loudness and effort (77), which prevent the individuals with PD from accurately monitoring and scaling their vocal output and (iii) difficulty in independently generating (internal cueing scaling) the right amount of effort (78) to produce adequate vocal output (loudness, prosodic inflection, and amplitude of articulatory movement). The LSVT has been designed to address these problems. Resonance problems are not common in PD, but when they are present, the voice often sounds like a foghorn. The acoustic and physiologic nature of this phenomenon is not clear, and perceptually, it is difficult to determine whether the voice is hypernasal or hyponasal. Aerodynamic and kinematic studies suggest that velopharyngeal movements may be reduced in some of these individuals (22,52,56). Abnormal tongue posture may also contribute to the resonance in parkinsonian speech. The abnormal resonance may also reflect motor symptoms not directly caused by PD such as pharmacologically induced dystonic or dyskinetic movements of the velopharyngeal and or tongue muscles. These investigators also found that 43 of IPD patients had a depressive disorder an additional 14 had depressive symptoms. It has been suggested that anxiety may be secondary in part to the antiparkinson-ian medications. A study by Maricle, Nutt, and Carter (1995) investigated mood and anxiety fluctuations associated with L-dopa infusion therapy in a small series of patients and found that mood and anxiety symptoms slightly preceded but temporarily paralleled fluctuations in motor tapping scores. The effects of L-dopa on mood and anxiety were not related to relief of parkinsonism. Mood change preceded changes in tapping scores and started dropping before tapping scores deteriorated. There was no relationship between the amount of mood change, severity of parkinsonism, and the extent to which IPD improved during L-dopa infusion. 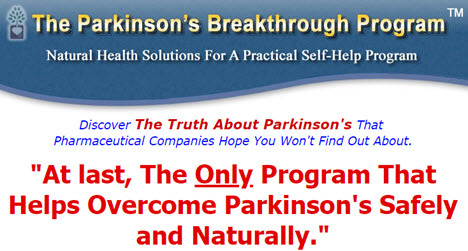 Although Parkinson's disease (PD) is commonly regarded as a disorder of dopamine deficiency, it is actually a multisystem degenerative disorder. As nondopaminergic brain pathways are involved in the genesis of many symptoms, these cannot be successfully treated by merely increasing brain dopaminergic stimulation. The auto-nomic symptoms fall into this category, and thus management is often challenging. The autonomic features of PD affect cardiovascular function, gastrointestinal (GI) motility, urinary bladder function, sexual ability, and thermal regulation. A list of the common symptoms and signs of autonomic dysfunction is shown in Table 1. Although symptoms of autonomic failure typically present later in the course of the disease, rare case reports exist of autonomic abnormalities as the presenting feature (1). This chapter will outline the common autonomic features of PD and discuss treatment approaches for each. In PD, severe EDS needs treatment, and first concurrent medications that may be sedating should be eliminated or reduced (Table 5). Modafinil (100-400 mg day), a nonaddictive sleep-wake cycle activator, is nonstimulating and the only drug that has shown efficacy in improving EDS in double-blind, placebo-controlled trials (87,88). A seven-week, double-blind, placebo-crossover study of modafinil (200 mg) followed by a four-week open-label extension (200 and 400 mg) study by Adler et al. (88) showed significant improvement in ESS with modafinil and improvement in clinical global impression scores for wakefulness in the open-label arm. Those with high ESS scores and a history of sudden onset of sleep should be advised not to drive alone or long distances. Dopamine agonists when initiated should be titrated up slowly, especially in older patients. Visuoperceptual impairments are thought to occur in early PD, even when motoric task demands are minimized (62,63) however, some argue that visuoperceptual impairments are secondary to deficits in set-shifting, spatial memory, bradyphrenia, and dexterity (34,64). Visuospatial impairments do not appear to improve with dopamine replacement and do not reliably vary with motor on and off periods. Thus, if dopamine impacts visuoperceptual abnormalities in PD, it is probably in conjunction with other neurochemical or pathophysiological processes (65). Selegiline and rasagiline, selective monoamine oxidase-B (MAO-B) inhibitors, have been hypothesized to exert a neuroprotective effect in PD by way of reducing physiologic stress associated with MAO-B oxidation of dopamine. Along with improvement in motor functions, several small, uncontrolled studies have found selegiline to be associated with improved global cognitive functioning, P300 latencies, and or memory in patients with PD (137-140). In contrast, selegiline was reported not to significantly impact cognition in a large sample of untreated patients with early PD (141). The potential cognitive effects of rasagiline in PD patients have not been evaluated. Overall, based on clinical experience and the available scientific data, SSRIs and TCAs may be considered useful for the treatment of depression in PD, and the agent that provides the best overall clinical benefit-to-risk profile should be selected (168). Amoxapine and lithium should be avoided, given the propensity of these agents to worsen motor symptoms and the availability of safer agents (169,170). Additionally, the nonselective MAO inhibitors (e.g., isocarboxazid, phenelzine, and tranylcypromine) should be avoided in levodopa-treated patients due to the risk of hypertensive crisis. Several antidepressants, such as bupropion, fluoxetine, fluvoxamine, nefa-zodone, and paroxetine, are potent in vivo inhibitors of various cytochrome P450 (CYP450) drug-metabolizing isoenzymes (171,172). These antidepressants may increase the risk for drug interactions. Atypical antipsychotics are typically used to treat psychosis in PD. Table 1 provides a summary of atypical antipsychotic studies in PD. The United States Food and Drug Administration (FDA) recently asked all atypical antipsychotic manufacturers to add a boxed warning to their product labels, saying that atypical antipsychotics, when used in elderly patients with dementia, were associated with a higher risk of mortality (54). However, since the deaths were primarily due to cardiovascular or infectious causes, it is unclear how the atypical antipsychotics cause increased mortality. Since psychosis can be difficult to treat in PD, it is likely that these agents will continue to be utilized until a direct cause and effect relationship is uncovered. Goetz and Stebbins (5) described 11 PD patients in a nursing home with hallucinations, all of whom were never discharged from the nursing home and died within two years. In an open-label extension of the U.S. double-blind clozapine trial, only 25 of completers died over a 26-month observational period. Forty-two percent were in nursing homes, 68 were demented, and 69 were still psychotic (4). A separate study of 39 parkinsonian patients, treated with clozapine for psychosis, found that only 15 had died over a span of five years and 33 had been admitted to nursing homes (115). Both reserpine and AMPT have been used to discover new dopaminomimet-ics for the treatment of PD, but since their effects are transient (hours to days), these models are primarily useful for acute studies. In addition, neither agent can duplicate the extensive biochemical nor pathological changes seen in PD. Consequently, other models with long-lasting neurochemical and behavioral alterations have been sought using site-specific neurotoxicant injury.